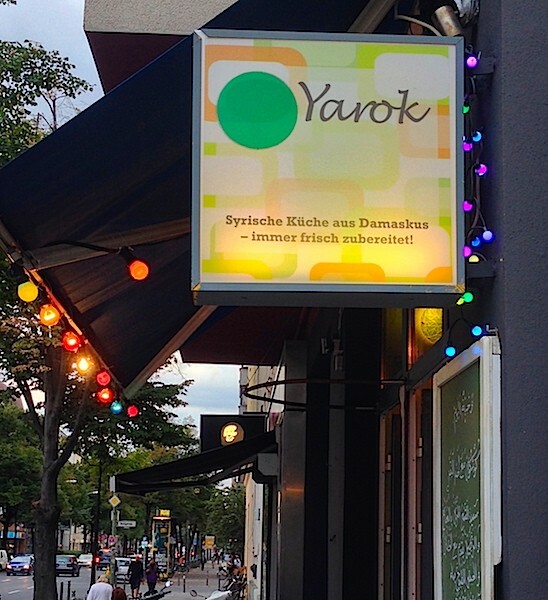 Located on Torstasse between Rosenthaler Platz and Friedrichstrasse, YAROK SYRIAN DELI is our local Syrian food favorite. For some reason Torstrasse is one of the few areas in Mitte that has been “somewhat” protected from gentrification. And places like Yarok is what gives the neighborhood the character that we love so much. Although they claim to serve “Fine Syrian food from Damascus” their menu and ambiance (very simple if not a tad tacky) is relatively similar to many of the Arab restaurants that you find around town. However we find YAROK SYRIAN DELI to have a special “je ne se quoi”. Whether it is the result of a beautiful plating presentation (although still very simple) or the way the food is seasoned, all we know is that we keep coming back. We have noticed it is mostly patronized by locals (mostly for lunch but they do open for dinner), but lately we have seen a more adventurous tourist here and there. Sitting on their tables on the sidewalk (weather permitting) is always the better option as it can feel a bit cramped inside. Yarok is one of those simple, good-value-for-money, honest places that you are always guaranteed to have a great meal experience. We will keep coming back. 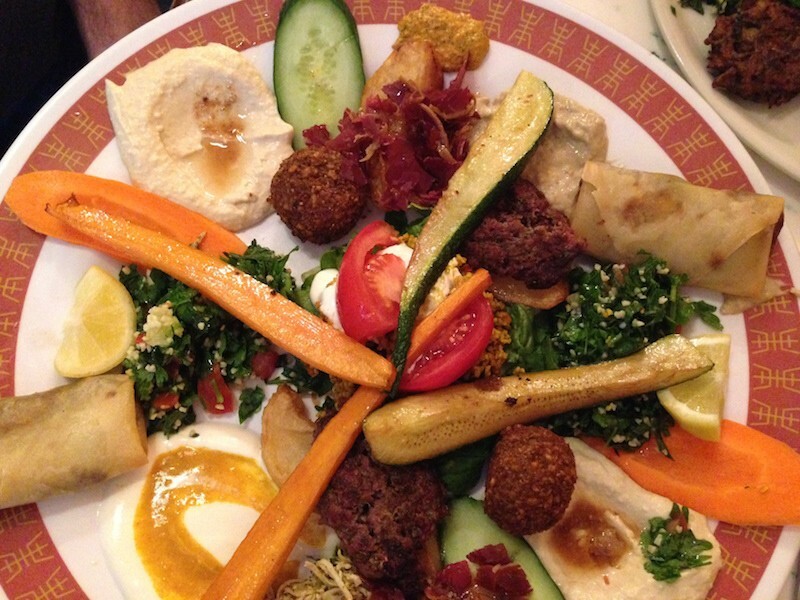 What we like to order at YAROK SYRIAN DELI: Yarock-Plate with meat. Lately we have fallen in love with their Pasterma for appetizer.